Working for nearly 10 years in NYC meant buying lunch was expensive and something that even when done a few times a week, added up quickly. The trick to keeping in the habit of bagging a lunch was to keep things exciting. Salads were a terrific solution to this problem - not only were they a way to ensure I was packing a nutrient dense lunch, but also easy to vary from day to day and keep from getting burnt out on the same old, same old. 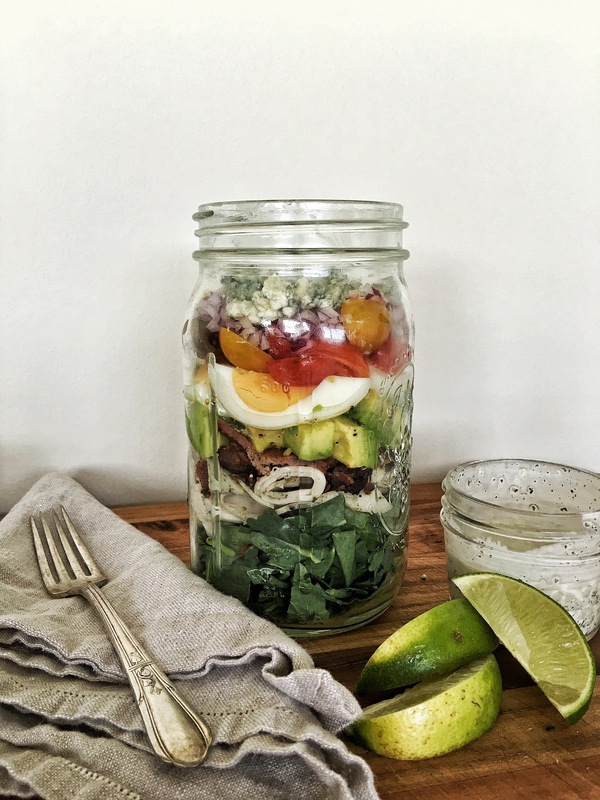 It is hard to believe, that with my love for all things leafy and green, that I had never tried a Mason Jar Salad prior to this recipe. Not only was it super easy to pull together but layering the salad makes for a show stopping presentation, and you know what they say, ‘We eat with our eyes first!” Leaning on a quality brand like Applegate amps up this salad with lean protein and flavor while keeping things organic and leaving out those pesky additives. Make this the night before and you’re ready to grab-n-go when you walk out the door in the morning. While this recipe uses the Herb Turkey Breast & Sunday Bacon, feel free to swap in any of the delicious Applegate flavors of Organic, Additive Free Deli Meat and or omit the bacon. 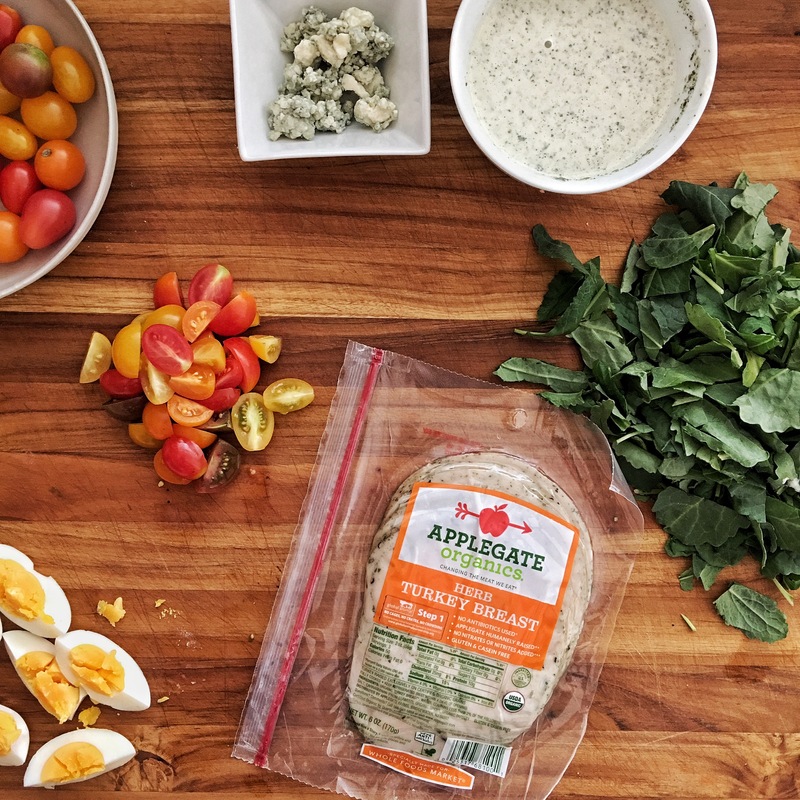 Through September 19, thefeedfeed is running a contest with Applegate and we want to see your BEST make AHEAD Lunches! Be sure to check our contest page for all the rules and regulations. To assemble salad, dice avocado and toss with lime juice and layer ingredients, in order listed above, in a large - Wide Mouth Mason Jar. Dressing - This dressing recipe uses a packaged Green Goddess Dressing Base - feel free to use your favorite homemade dressing or prepared dressing in its place, if you do not have the spice mix on hand. Bloom the dressing base in 2 tablespoons of warm water for 5 minutes. Whisk in the mayonnaise and buttermilk - adding more buttermilk, if necessary to achieve a dressing consistency. Using a Jelly Jar, bring as much or as little dressing as you desire to put on the salad before eating. This post is sponsored by Applegate, all opinions expressed are our own.